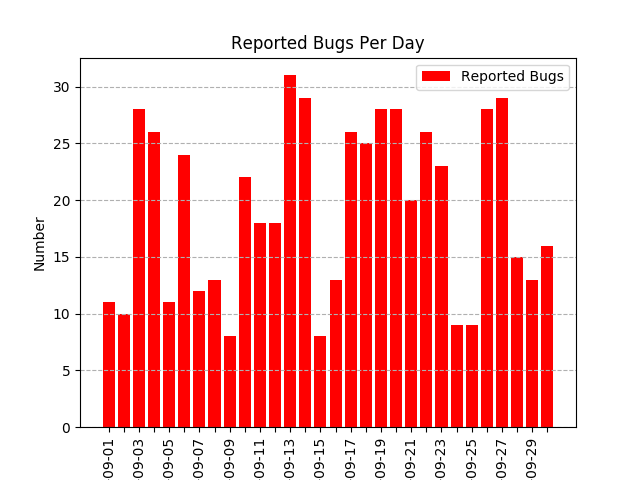 577 bugs have been reported by 324 people. 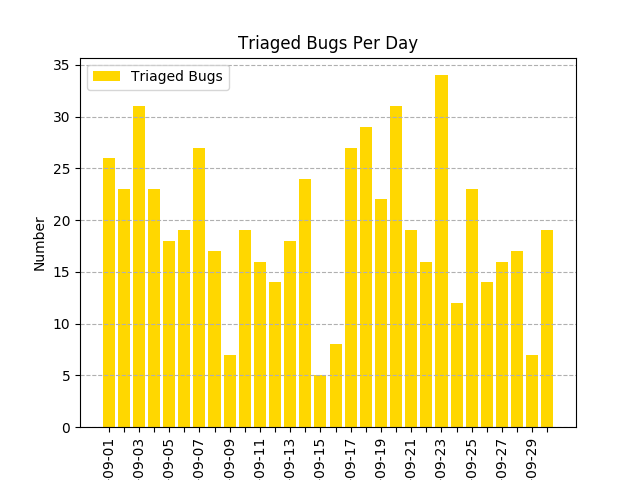 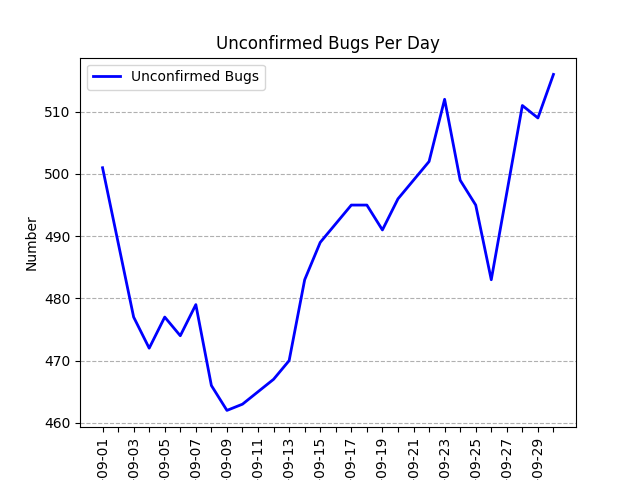 581 bugs have been triaged by 76 people. 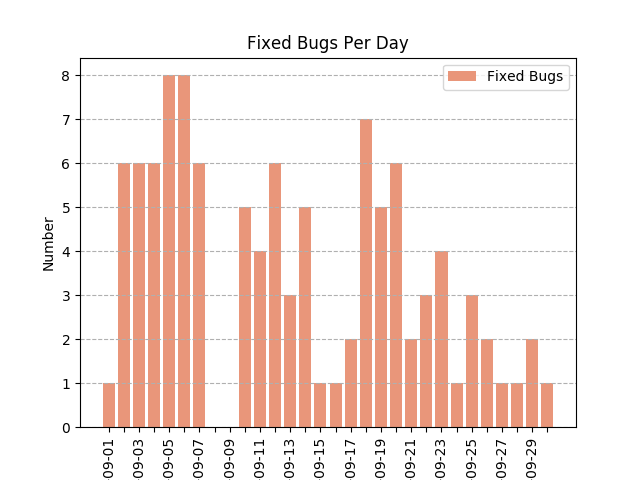 106 bugs have been fixed by 35 people. 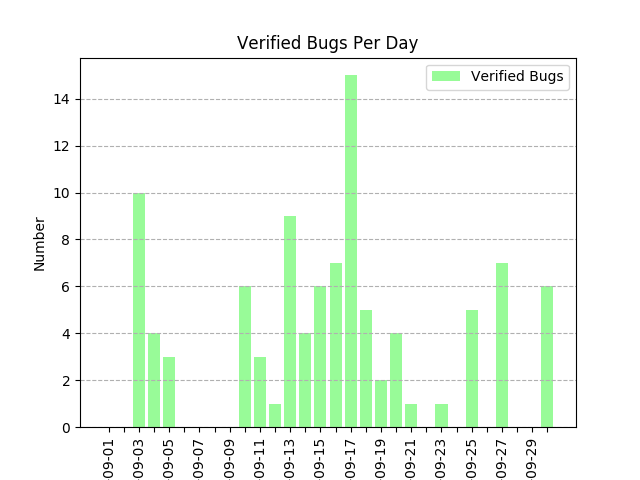 99 bug fixes have been verified by 14 people. 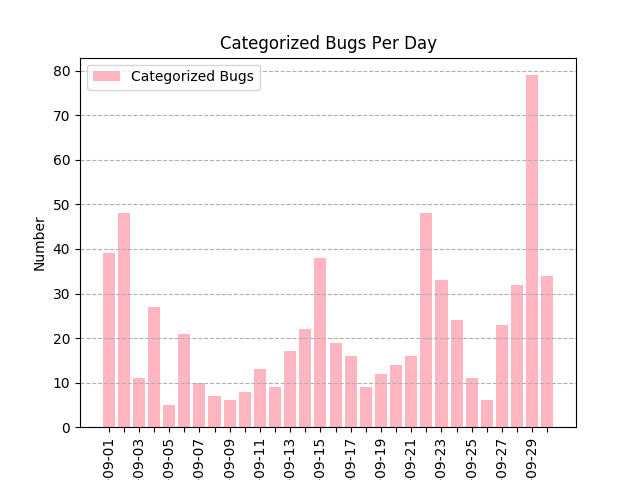 657 bugs have been categorized with a metabug by 28 people. 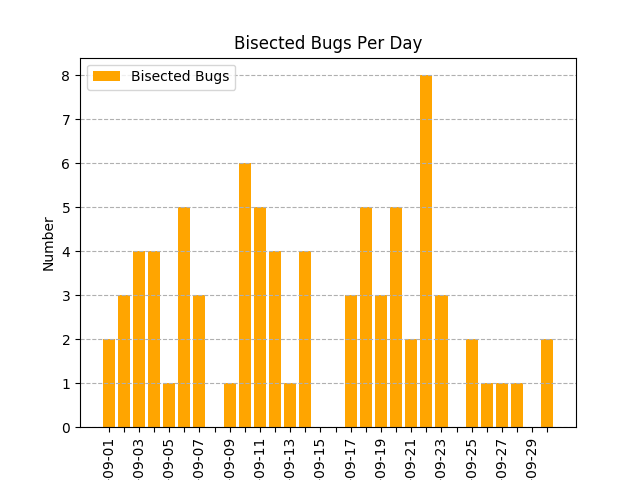 79 bugs have been bisected by 8 people.